Astronomers using NASA’s Hubble Space Telescope and Chandra X-ray Observatory and telescopes on the ground may have found the most crowded galaxy in our part of the universe. 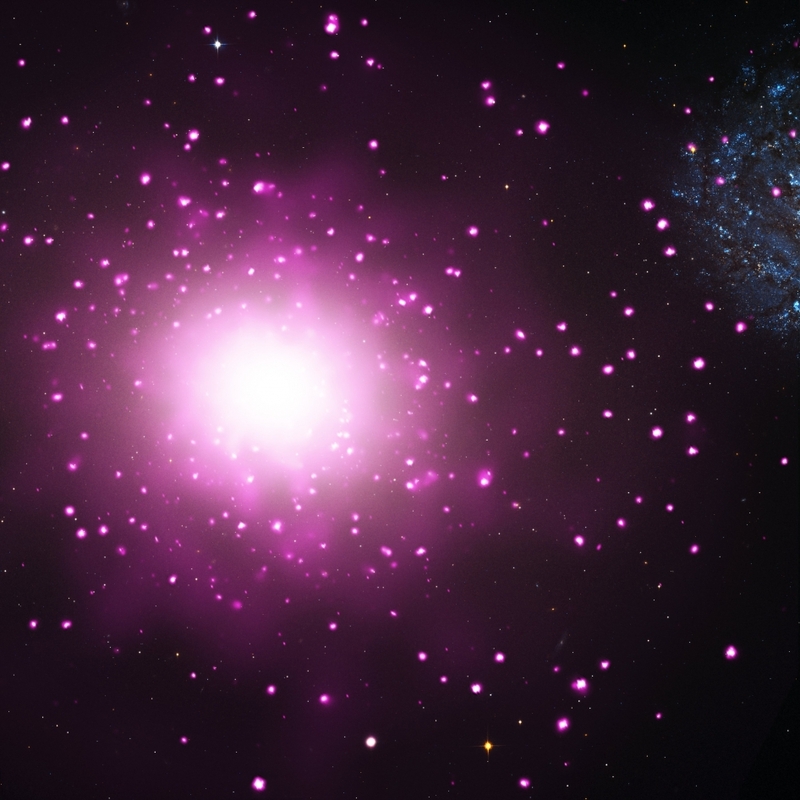 The ultra-compact dwarf galaxy, known as M60-UCD1, is packed with an extraordinary number of stars and may be the densest galaxy near Earth. It is providing astronomers with clues to its intriguing past and its role in the galactic evolutionary chain. M60-UCD1, estimated to be about 10 billion years old, is near the massive elliptical galaxy NGC 4649, also called M60, about 54 million light years from Earth. It is the most luminous known galaxy of its type and one of the most massive, weighing 200 million times more than our sun, based on observations with the W.M. Keck Observatory 10-meter telescope in Hawaii. What makes M60-UCD1 so remarkable is that about half of this mass is found within a radius of only about 80 light years. The density of stars is about 15,000 times greater — meaning the stars are about 25 times closer to each other — than in Earth’s neighborhood in the Milky Way galaxy. “Traveling from one star to another would be a lot easier in M60-UCD1 than it is in our galaxy, but it would still take hundreds of years using present technology,” said Jay Strader of Michigan State University in Lansing. Strader is the lead author of a paper about the research, which was published Sept. 20 in The Astrophysical Journal Letters. “The abundance of heavy elements in this galaxy makes it a fertile environment for planets and, potentially, for life to form,” said co-author Anil Seth of the University of Utah. Astronomers want to find out whether M60-UCD1 was born as a jam-packed star cluster or became more compact as stars were ripped away from it. Large black holes are not found in star clusters, so if the X-ray source is in fact due to a massive black hole, it was likely produced by collisions between M60-UCD1 and one or more nearby galaxies. M60-UCD1’s great mass and the abundances of elements heavier than hydrogen and helium are also arguments for the theory it is the remnant of a much larger galaxy. When we look into the distant cosmos, the great majority of the objects we see are galaxies: immense gatherings of stars, planets, gas, dust, and dark matter, showing up in all kind of shapes. This Hubble picture registers several, but the galaxy catalogued as 2MASX J05210136-2521450 stands out at a glance due to its interesting shape. This object is an ultraluminous infrared galaxy which emits a tremendous amount of light at infrared wavelengths. Scientists connect this to intense star formation activity, triggered by a collision between two interacting galaxies. The merging process has left its signs: 2MASX J05210136-2521450 presents a single, bright nucleus and a spectacular outer structure that consists of a one-sided extension of the inner arms, with a tidal tail heading in the opposite direction, formed from material ripped out from the merging galaxies by gravitational forces. 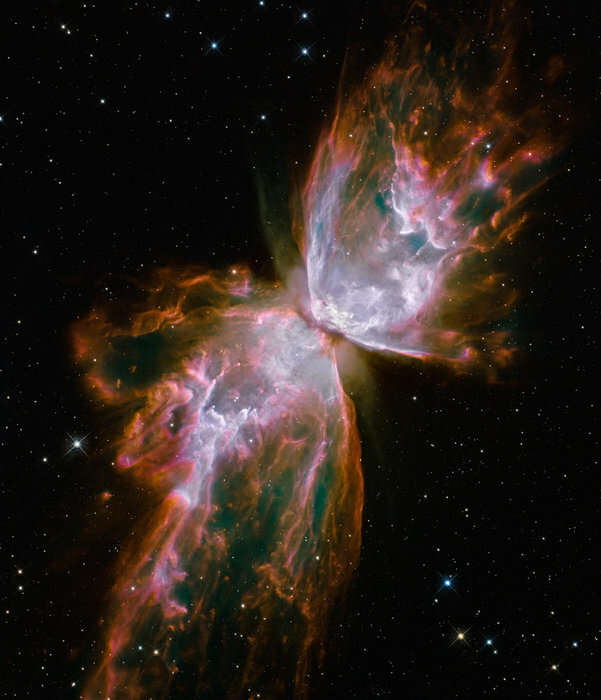 The image is a combination of exposures taken by Hubble’s Advanced Camera for Surveys, using near-infrared and visible light. NASA’s Hubble Space Telescope has found the building blocks for Earth-sized planets in an unlikely place– the atmospheres of a pair of burned-out stars called white dwarfs. Hubble’s Cosmic Origins Spectrograph observed silicon and only low levels of carbon in the white dwarfs’ atmospheres. Silicon is a major ingredient of the rocky material that constitutes Earth and other solid planets in our solar system. Carbon, which helps determine properties and origin of planetary debris, generally is depleted or absent in rocky, Earth-like material. Farihi’s research suggests asteroids less than 100 miles (160 kilometers) wide probably were torn apart by the white dwarfs’ strong gravitational forces. Asteroids are thought to consist of the same materials that form terrestrial planets, and seeing evidence of asteroids points to the possibility of Earth-sized planets in the same system. The pulverized material may have been pulled into a ring around the stars and eventually funneled onto the dead stars. The silicon may have come from asteroids that were shredded by the white dwarfs’ gravity when they veered too close to the dead stars. “It’s difficult to imagine another mechanism than gravity that causes material to get close enough to rain down onto the star,” Farihi said. 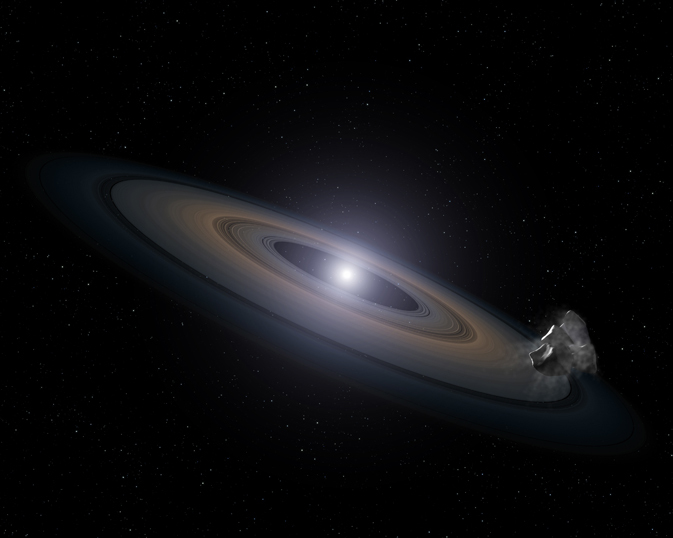 The two “polluted” Hyades white dwarfs are part of the team’s search of planetary debris around more than 100 white dwarfs, led by Boris Gansicke of the University of Warwick in England. Team member Detlev Koester of the University of Kiel in Germany is using sophisticated computer models of white dwarf atmospheres to determine the abundances of various elements that can be traced to planets in the Hubble spectrograph data. Fahiri’s team plans to analyze more white dwarfs using the same technique to identify not only the rocks’ composition, but also their parent bodies. At some stage after its birth in the big bang, the universe began to make galaxies. No one knows exactly when, or how, this occurred. For that matter, astronomers do not know how the lineages of our own Milky Way galaxy and its stars trace back to those first galaxies and their first stars, but astronomers have been working hard to find out. The Hubble Space Telescope announced in 1996 that it had stared at apparently dark sky for ten days at optical wavelengths, long enough to acquire a picture of the very distant universe. 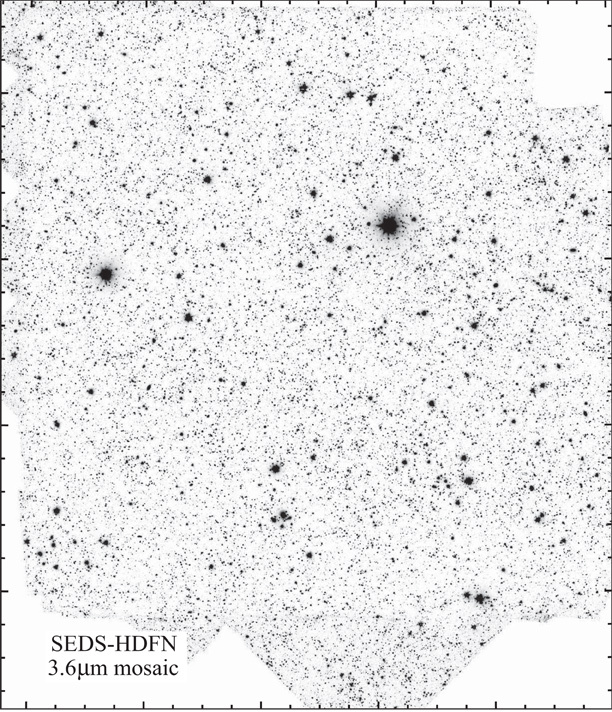 The resultant image, the Hubble Deep Field (HDF), reveals galaxies that are so far away that they existed when the universe was less than about 5% of its present age of 14 billion years. Since 1996 astronomers have been working to understand exactly what kinds of galaxies these remote objects are, and whether they bear any resemblance to our own Milky Way galaxy, either as it is now, or as it was when it was younger….